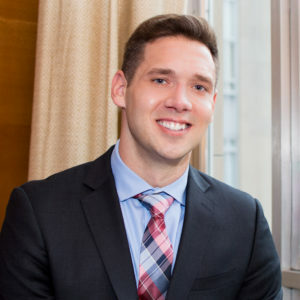 Schylar Baber joined Family Equality Council’s Public Policy team in March 2019, based out of Washington, D.C. As a Federal Policy Consultant, he plays a crucial role in supporting the Director of Public Policy. He plays a critical role in implementing and expanding Family Equality Council’s public policy agenda, providing a strong voice for LGBTQ families on Capitol Hill. Schylar has over a decade of experience advocating for youth and families involved with foster care and adoption, a significant portion identifying as LGBTQ. Schylar’s efforts have contributed to several victories including saving the Adoption Tax Credit, securing congressional funding for foster care and adoption, and the passage of the Family First Prevention Services Act of 2018 which opened up federal entitlement funding to keep families together and reduce the need for foster care. Prior to his career in policy and advocacy, he worked for an education focused nonprofit where he taught financial literacy and helped students that were 200% below the poverty level access post-secondary education and scholarship support. Schylar was recently the Executive Director of Voice for Adoption and served on the governor-appointed Protect Montana Kids commission. He was an American Express NGEN Fellow, nationally awarded child welfare advocate, and respected foster alumni and survivor of conversion therapy. Schylar holds a master’s degree in Public Administration from the University of Montana.